On Sale Now! 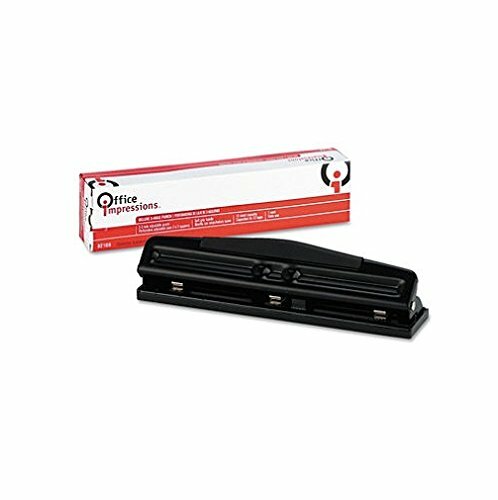 Save 2% on the Office Impressions 82166 8-Sheet adjustable 2- or 3-hole desktop punch 9/32'' dia. hole, black by Office Impressions at Transparent University. MPN: 82166. Hurry! Limited time offer. Offer valid only while supplies last. Steel desktop punch features three punch heads that adjust for standard two-hole or three-hole punching. Punches 9/32'' holes. Removable chip tray. Steel desktop punch features three punch heads that adjust for standard two-hole or three-hole punching. Punches 9/32" holes. Removable chip tray. Eight-sheet capacity. Three punch heads adjust for standard two-hole or three-hole punching. View More In Staplers & Punches. If you have any questions about this product by Office Impressions, contact us by completing and submitting the form below. If you are looking for a specif part number, please include it with your message.